It has come to our attention that some members of our community have used Penn State’s child abuse tragedy as a basis for taunting leading into Saturday’s football game. 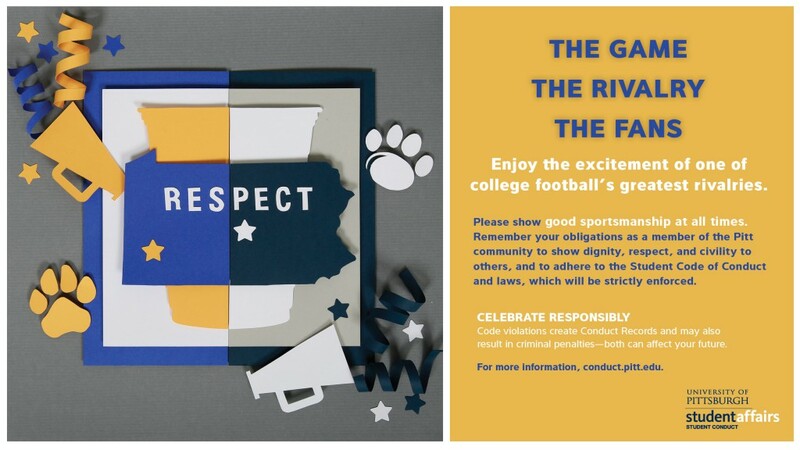 This is unacceptable and violates the very principles of dignity, respect, and civility espoused in the Pitt Promise. How we treat each other matters. We call upon the Pitt community to act in a manner which promotes the spirit of sportsmanship, decency, and community.